For Ned, 1980 seems a blissful year. Handsome, charming, popular and talented, his life is progressing smoothly, effortlessly, happily. And when he meets the lovely Portia Fendeman his personal jigsaw appears complete. But timing is everything in life, and his life is about to change for ever. Stephen Fry is hilarious, I saw the book at the meet-up and had to pick it up. This is really a great book! I tried *so* hard to not to take any books home, but I can't resist a good sun-beetle book :-) Will read and journal later! Well, this book has been languishing under my bed for a while, but got chosen last night! 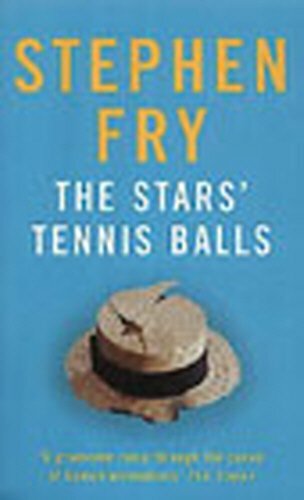 This was quite different to the other Stephen Fry books I've read! It kept me completely hooked and had a few nice twists. I'm interested to know how Fry found out / invented so much about the British Secret Service! Will probably release it or take to the next meetup! Another book that's destined for waiting behind my door! I couldn't put this book away! I really like Fry's style of writing.... and the story was quite inventive and had some nice turns!